Could I Have a Phentermine Allergy? As is the case with any kind of medication, there is a chance you may have a phentermine allergy. It’s hard to tell if you’re allergic or not unless you actually take the medication. However, being allergic to certain products in the past could be an indicator of a potential phentermine allergy. For example, being allergic to food preservatives, appetite suppressants, dyes, and other medications like metaproterenol and ephedrine could increase the chances of phentermine allergy. If you’ve had allergic reactions to these medications then you should let your doctor know before they prescribe phentermine. Allergic reactions are indications that the immune system has been triggered by phentermine, or one of the ingredients that make it up. This could be the active ingredient phentermine HCL or one of the inactive ingredients like the colorings. However, being allergic to medications in the past is not necessarily a sign that you are allergic to phentermine. Your doctor may recommend starting on a smaller dose to be sure before prescribing an alternate medications. Mild phentermine allergic reactions include a rash, hive, or itchy eyes. You may find that an over-the-counter antihistamine is able to help control the reactions depending on how severe the symptoms are. However, you should still talk to your doctor about your allergic reaction to phentermine, even if you are able to control it. That is because the allergic reactions may get progressively worse. Allergic reactions are not like side effects such as having a dry mouth or insomnia, in that they are not likely to go away over time. If anything, continuing to take phentermine is likely to make the allergy symptoms worse, to the point that they could become dangerous. One of the more serious phentermine allergic reactions is called anaphylaxis, which causes swollen lips, an itchy throat, and breathing problems. If you experience any of these symptoms then it’s vital that you stop taking the medication and consult your doctor about it. Depending on how severe the breathing problems are, taking an antihistamine may be able to reduce the symptoms. However, you should call 911 if the problem persists as this kind of severe allergic reaction could cause you to lose consciousness. If you experience other problems, such as pain, then this is likely a side effect and not an allergic reaction. However, if the pain or tightness is in your chest then must stop taking the phentermine and talk to your doctor. You should never ignore a serious side effect such as chest pain given how phentermine is able to affect your heart. What if I’ve Used Phentermine Before? While people believe that allergies are formed during childhood and stick around for life, allergies can actually come and go. You may find yourself suddenly allergic to a certain kind of food or to cats, and you can also suddenly become allergic to medications that you’ve taken without a problem in the past. This includes phentermine. You need to stay as vigilant as new phentermine users are when monitoring side effects and symptoms after taking your first dose. This is caused not just by changes to the immune system, but it could also be caused by the phentermine being made by different manufacturers with different ingredients. Could I Be Allergic to Something Else? If you changed your diet around the same time that you took phentermine then there is a chance you could be having an allergic reaction to food. More and more people are switching from dairy to non-dairy in an attempt to lose weight because they believe that dairy milk is less healthy. However, soy products are some of the most common allergy-producing foods there are. If you suddenly change to soy milk you could have an allergic reaction if you’ve never had any soy products in the past. As was mentioned above, you may find you develop allergies to foods that you’ve had in the past. Fish and shellfish allergies are most likely to appear in adults rather than children. Given that food allergies generally cause the same symptoms, such as swelling, itching, rashes, and breathing difficulties, it’s all too possible to get your allergies confused. Get some guidance from your doctor to pinpoint whether your allergic reaction was caused by phentermine by stopping your use of the product and keeping an eye on your symptoms. If you aren’t sure about how your body reacts to phentermine then it’s vital you talk to a doctor as soon as you can. 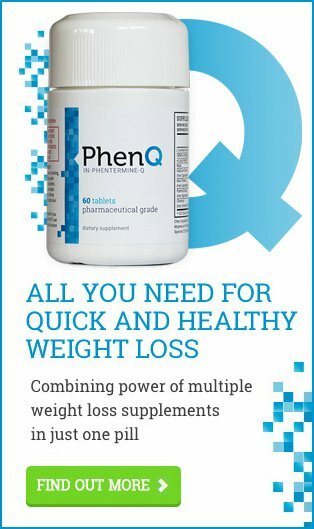 If you are unable to take phentermine then there are non prescription alternatives such as Phen375 and PhenQ. These products are able to boost energy and suppress your appetite in order to lose weight like phentermine, but it is made from different ingredients; meaning it won’t produce a similar allergic reaction. Last updated: October 11th, 2017. Bookmark the permalink. When and How Should I Take Phentermine?